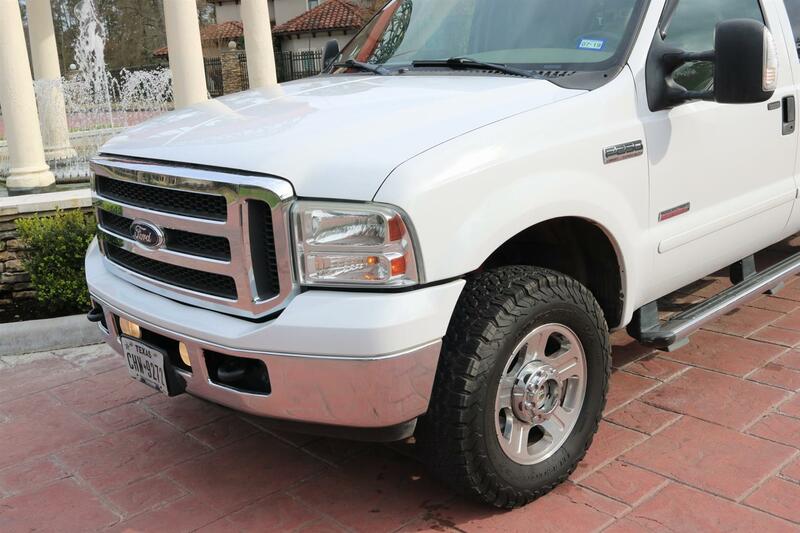 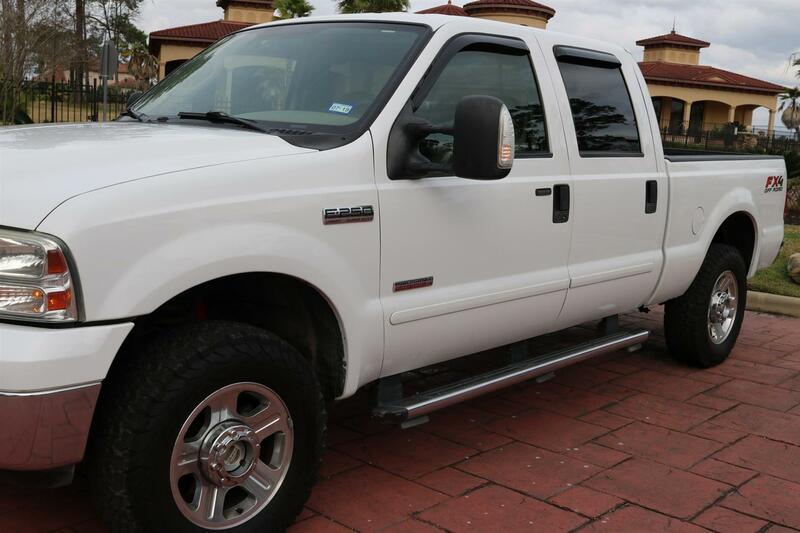 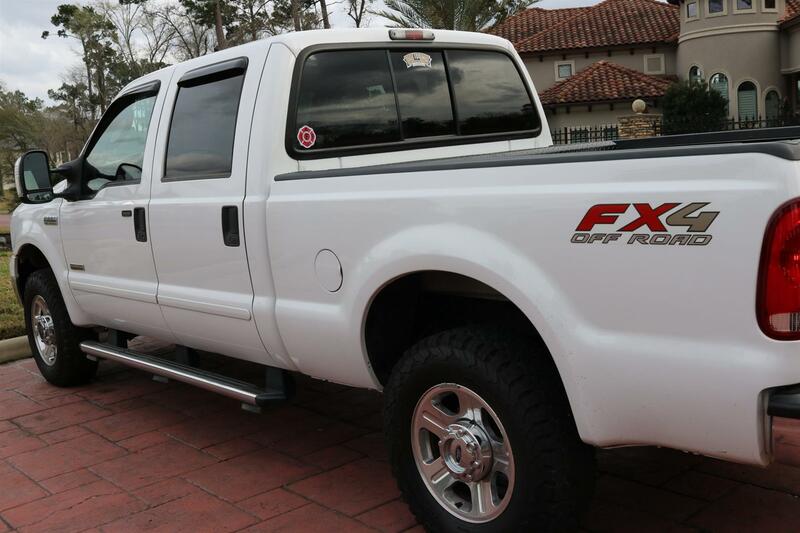 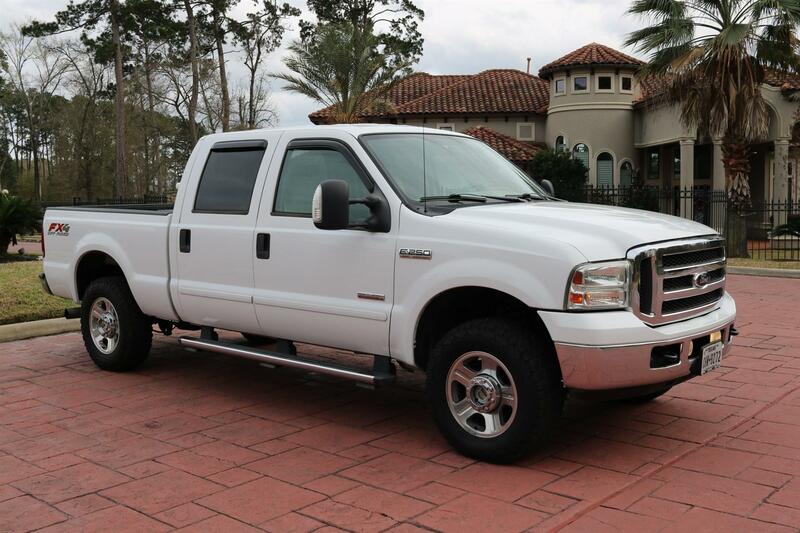 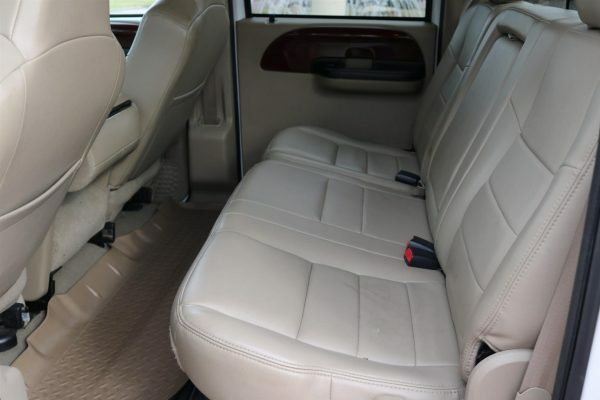 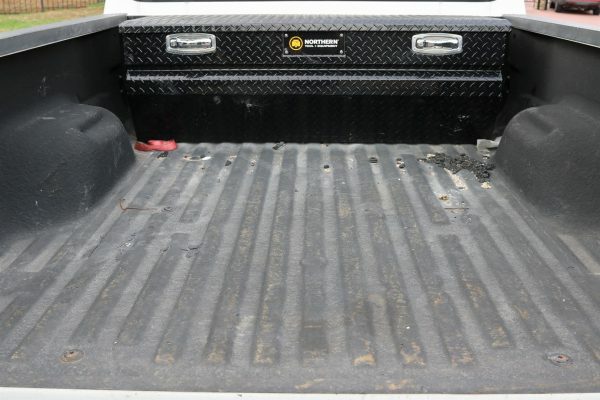 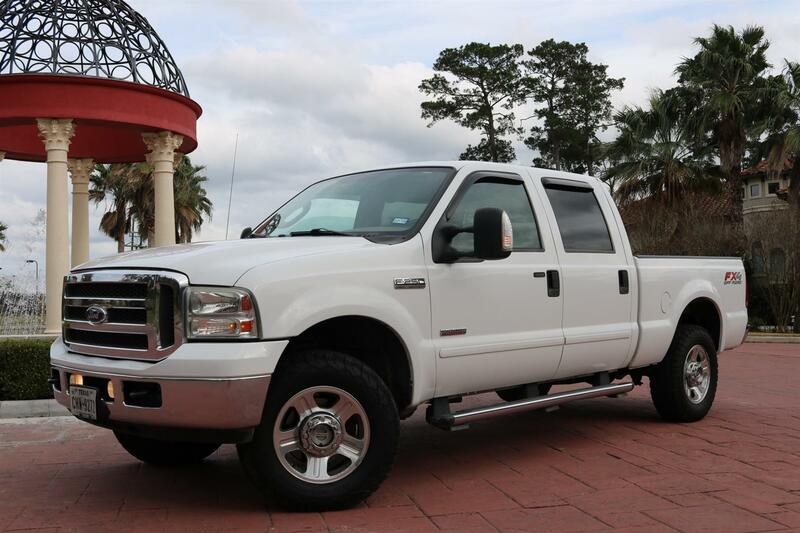 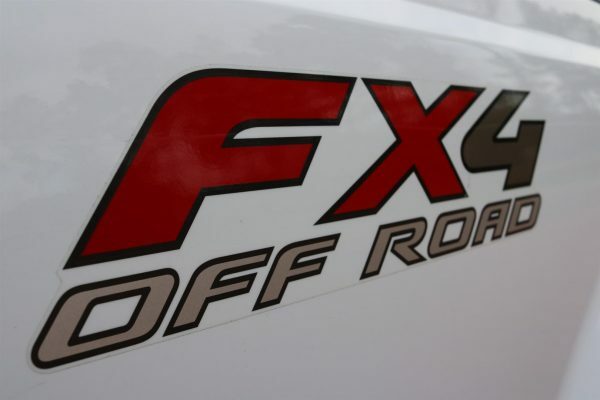 2007 Ford F250 Lariat FX4 (4WD) – Powerstroke Turbo Diesel, Auto, 4×4, Toolbox, Loaded, Excellent Condition! 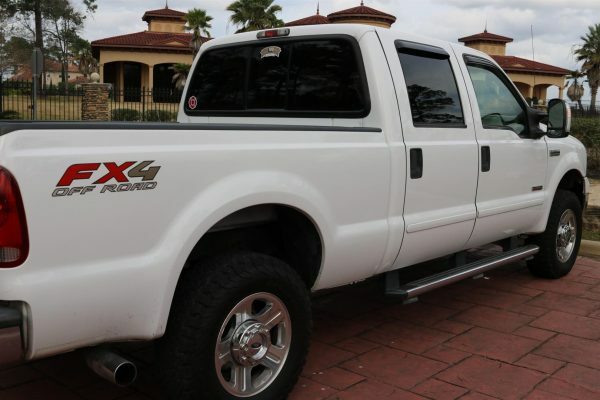 2007 Ford F250 Lariat FX4 (4WD) – The Ford F-Series Super Duty (often shortened to Ford Super Duty) is a series of trucks manufactured by Ford Motor Company. Introduced in 1998 for the 1999 model year, the F-Series Super Duty trucks marked the addition of a heavy-duty pickup to the Ford F-Series range, including the F-250 and F-350 pickups; the previous 1987–1997 F-Super Duty chassis cabs were replaced by the F-450 and F-550 Super Duty. 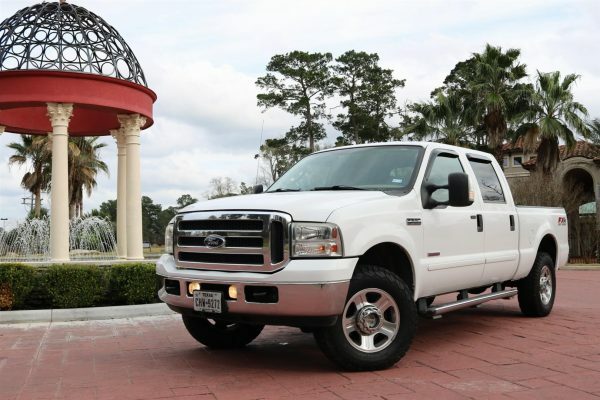 Beginning production in early 1998 for the 1999 model, the Ford F-Series Super Duty consisted of the F-250 pickup truck, F-350 pickup truck and chassis cab, and introduced the F-450 and F-550 chassis cab trucks. The Super Duty trucks would be produced with three cab configurations: two-door standard cab, 2+2 door SuperCab, and four-door crew cab. 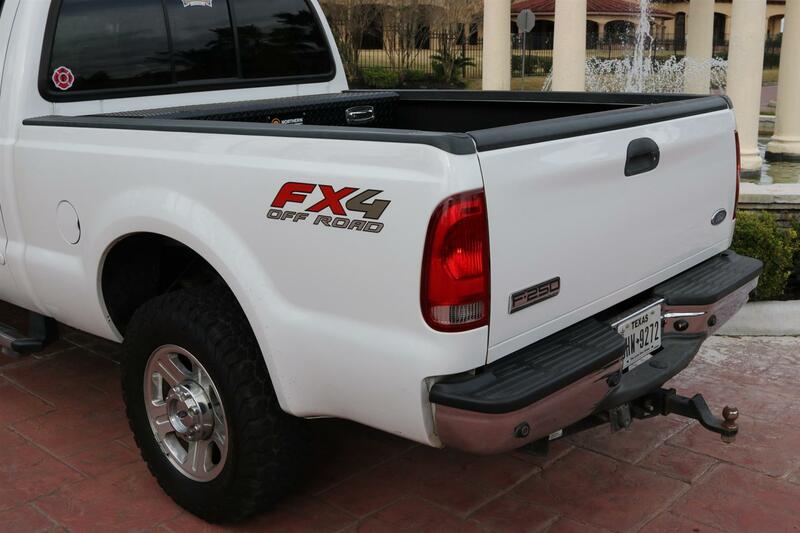 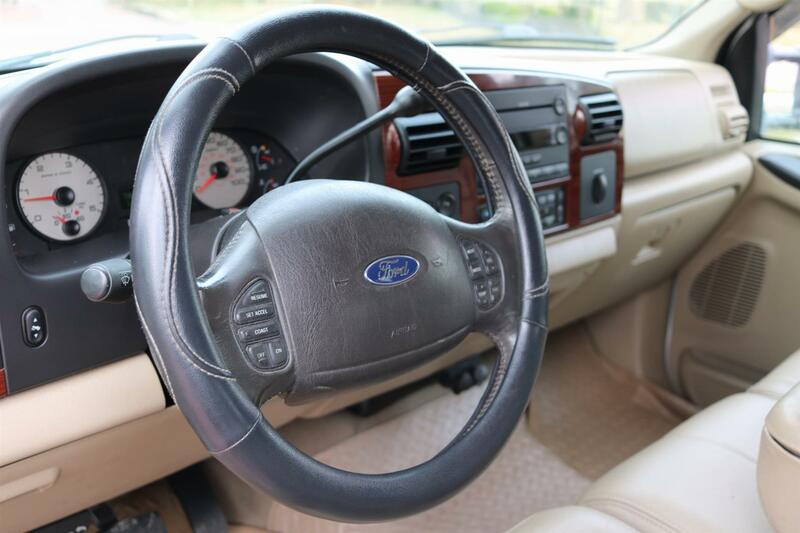 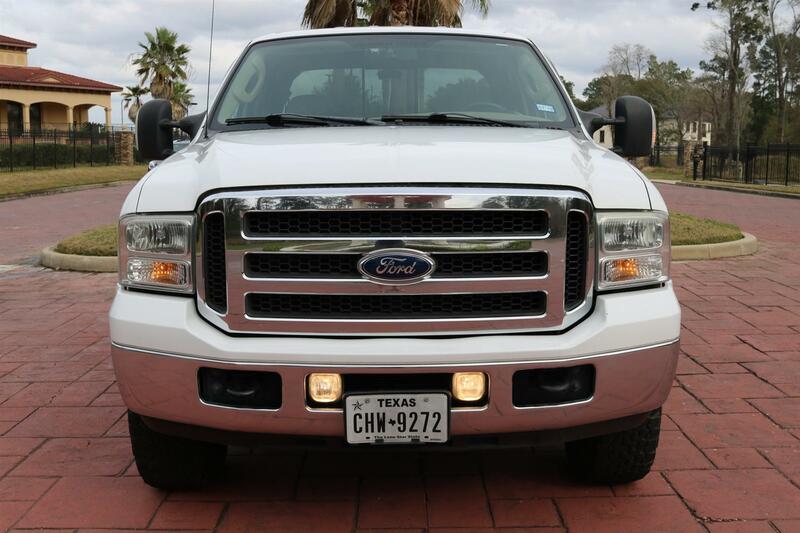 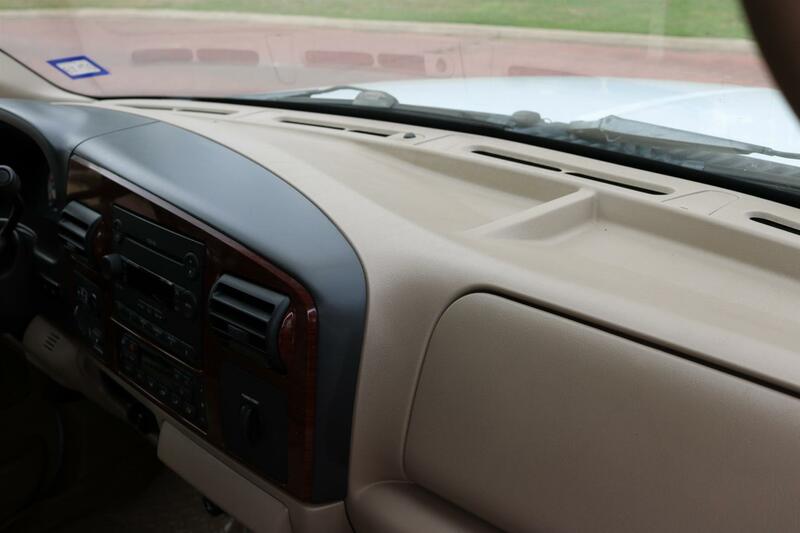 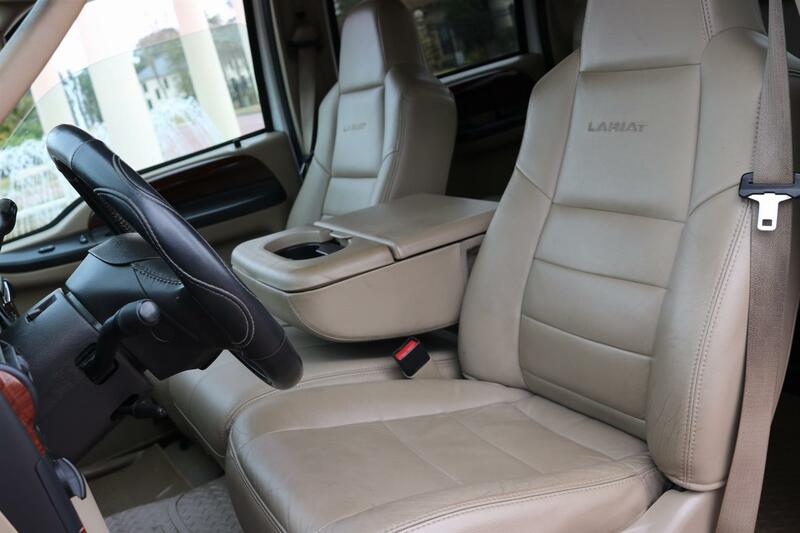 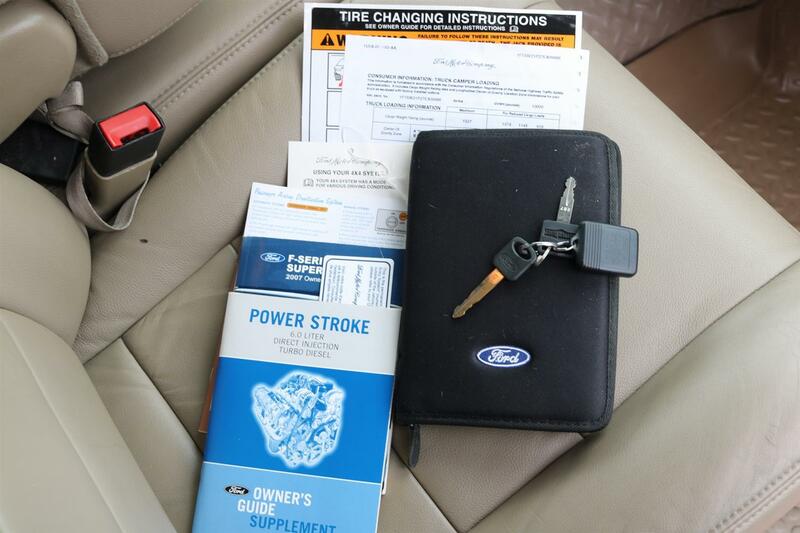 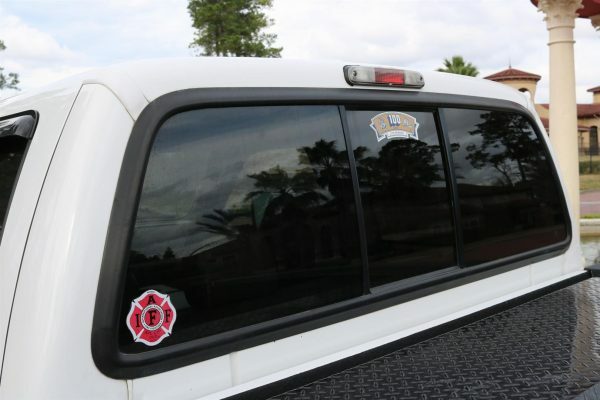 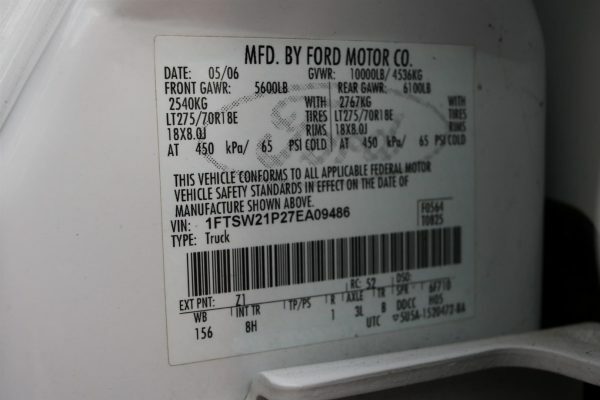 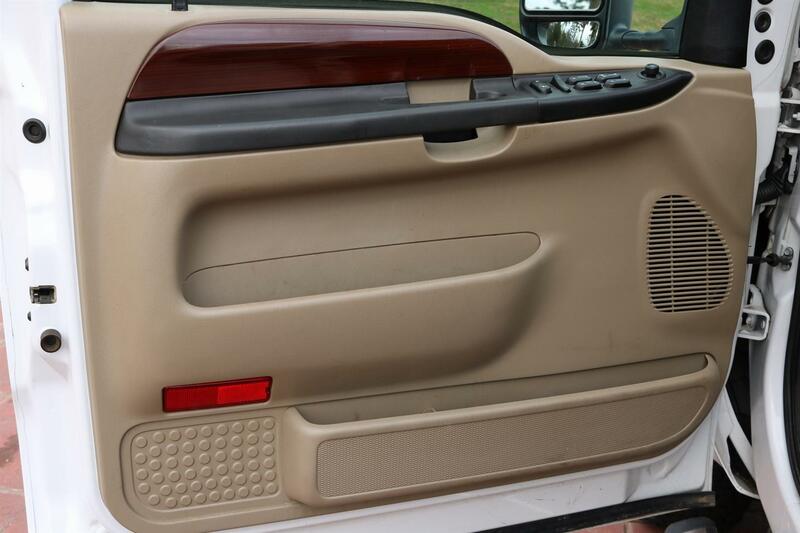 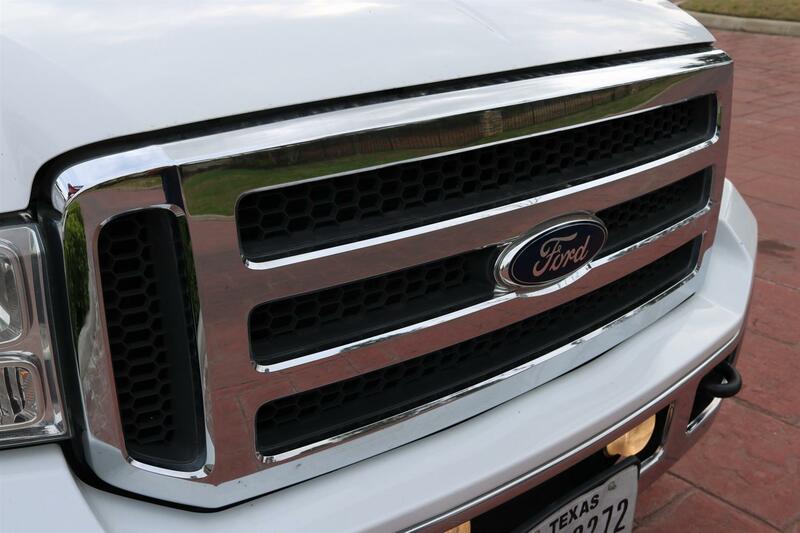 For the 2005 model year, the Ford Super Duty trucks were given exterior and interior updates. 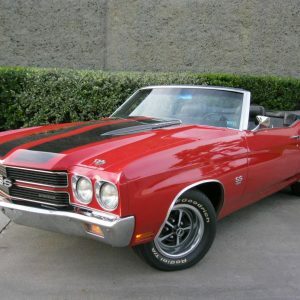 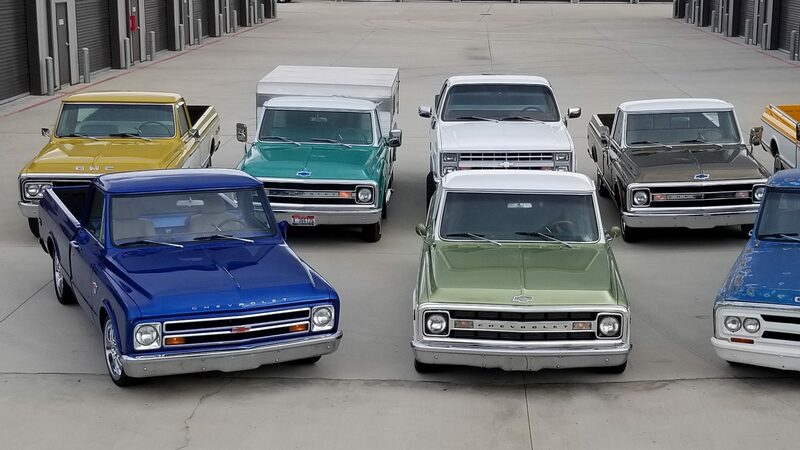 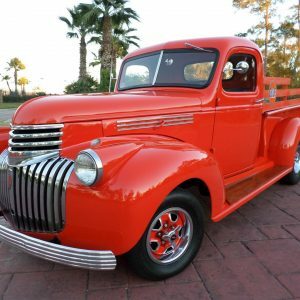 For the exterior, a new grille, front bumper, and headlights were introduced alongside the introduction of a locking tailgate for all pickup trucks. Under the skin (with thicker frame rails), updated Triton gasoline engines were introduced with higher engine output and larger alternators; in response to the increased power, all trucks were given 4-wheel disc brakes (with two-piston calipers). 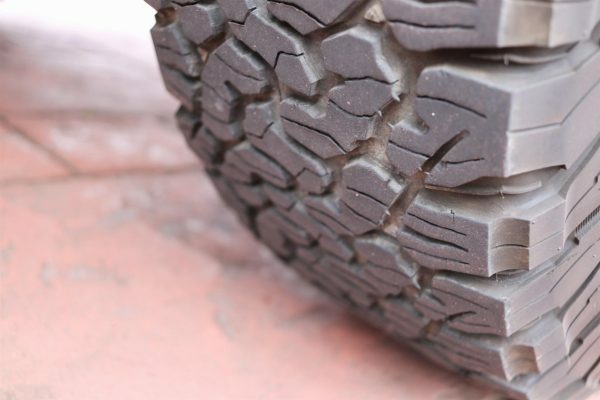 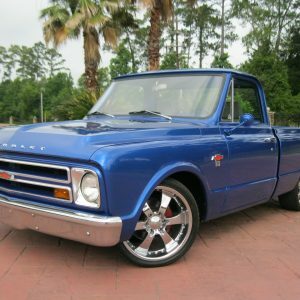 To accommodate the larger brakes, 17-inch wheels became standard, with 18-inch wheels optional (on single rear-wheel trucks); forged Alcoa wheels were an option. 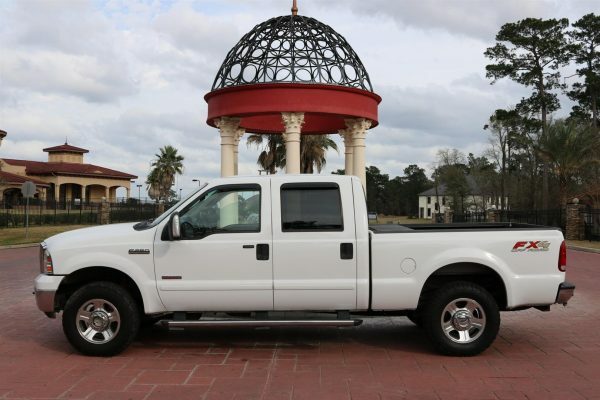 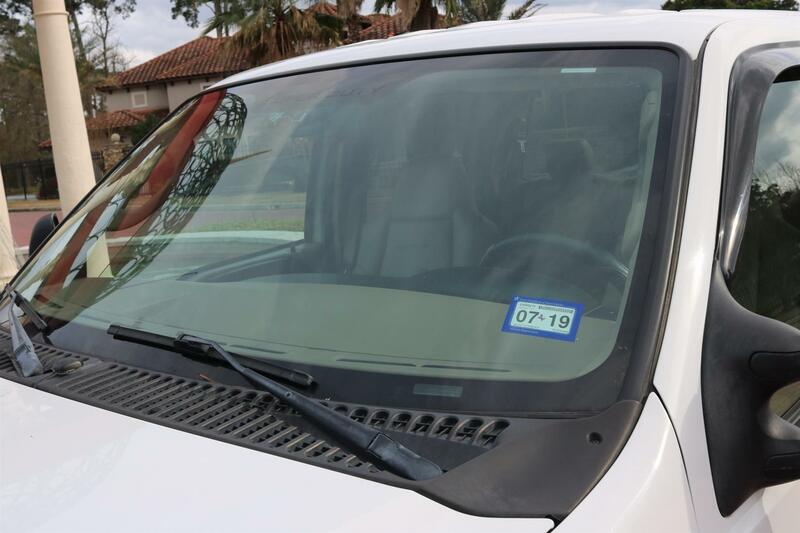 This beautiful, 2 owner F250 can best be described as “… at ton of truck for the money…” If you where in your local Ford dealership looking to buy an equally capable and equipped 2019 F250 you would be in the mid-$80ks. 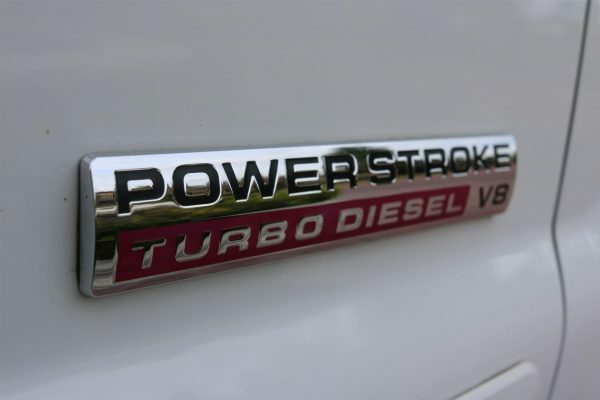 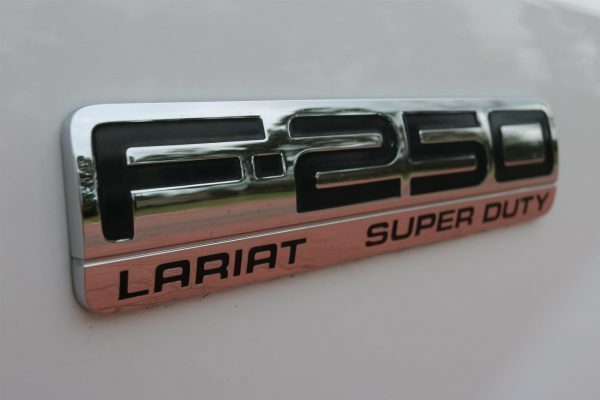 But, for only $15k you can get all the strength of a Powerstroke Diesel along with all the luxury of the Lariat & FX4 packages. 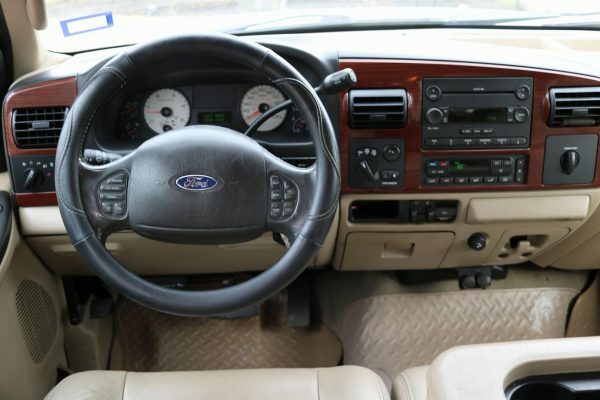 Now of course you can argue that $70k gap in price is due to a 12 year and 217k mile difference… and you would be correct. 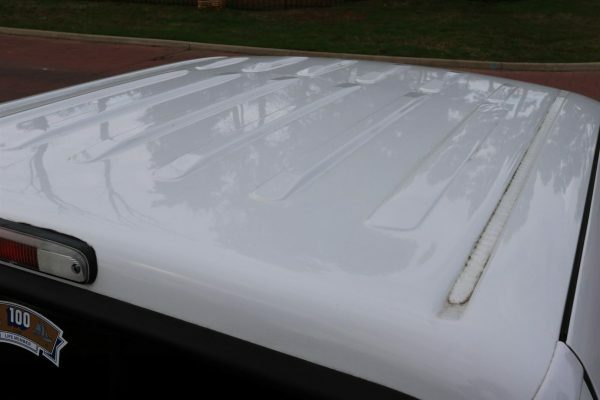 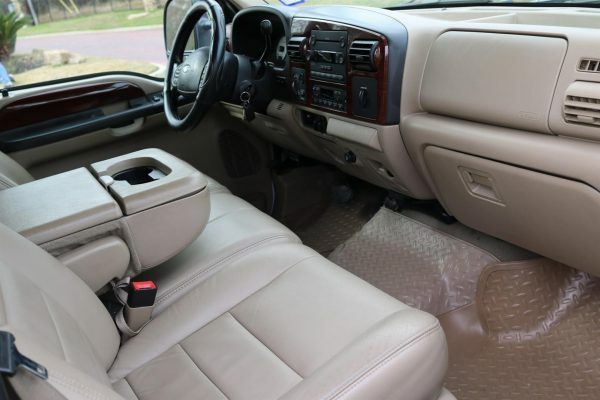 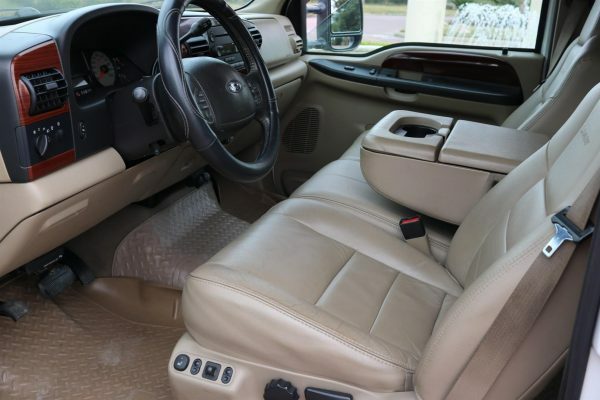 But, this particular F250 has been very well maintained cosmetically and shows like a much newer, much lower mile truck. 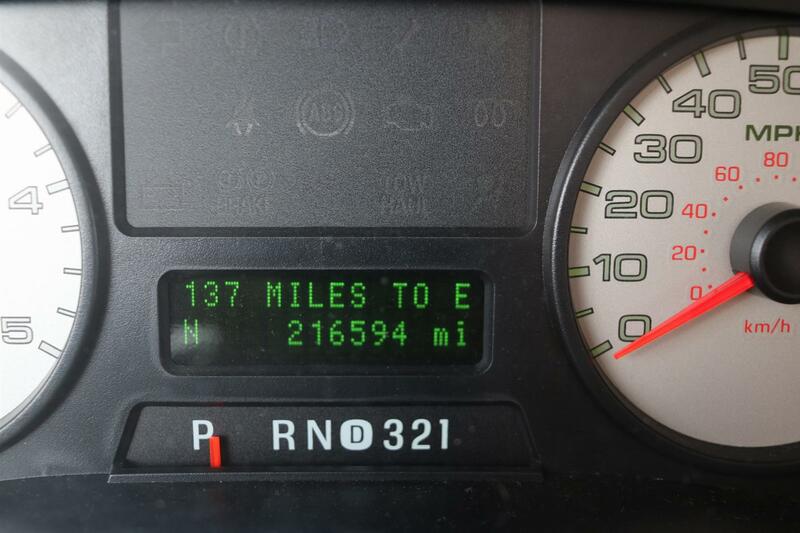 New injectors and head gaskets with ARP studs and EGR delete were completed at 150k miles. 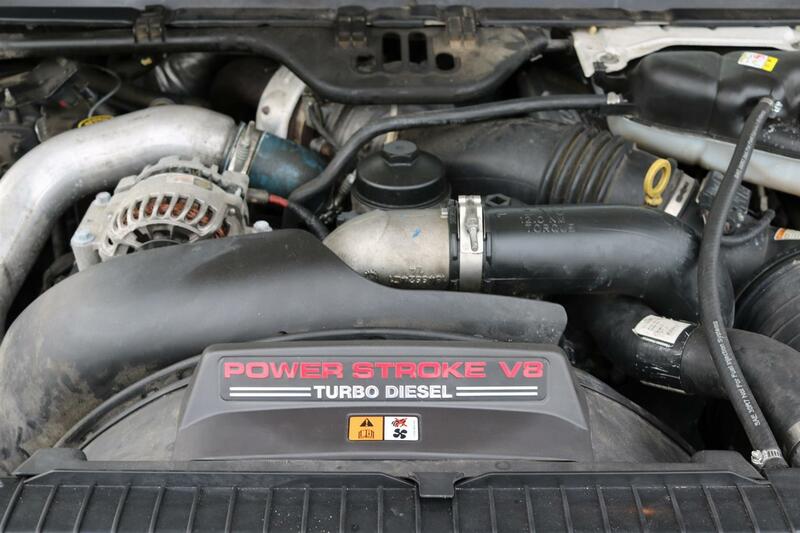 Every mechanical aspect of this truck is strong, everything works like it should and the Powerstroke powerplant has barely reached the middle of its life. 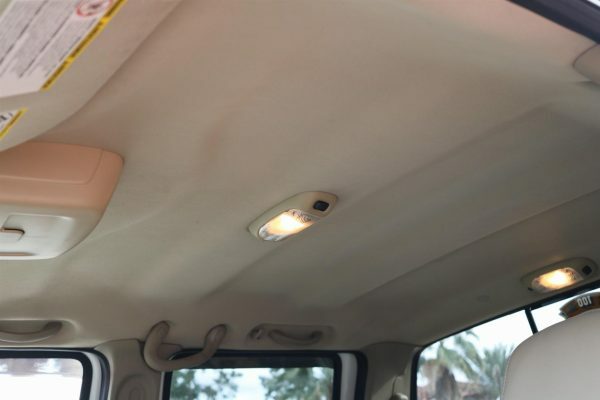 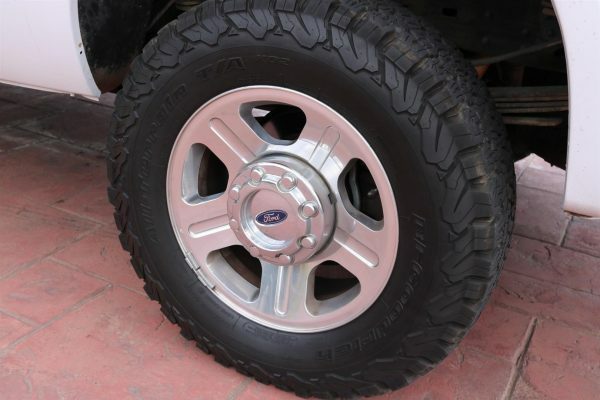 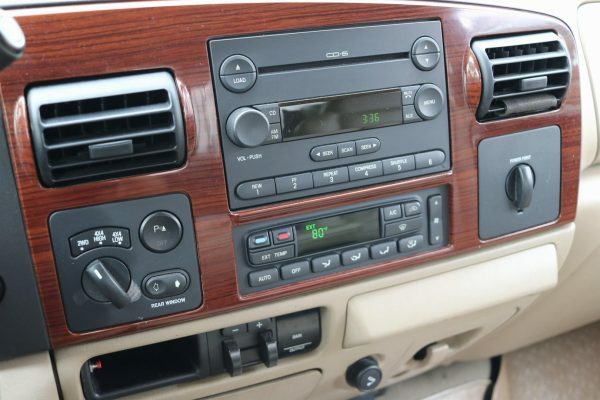 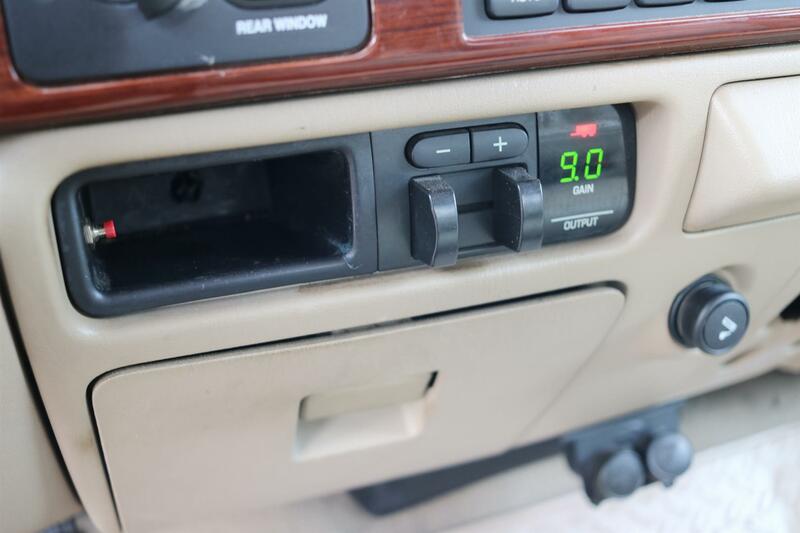 A complete list of features and options include; 6.0L Powerstroke Turbo Diesel, Auto, 4×4, Crew Cab, Short Bed, Oxford White paint, Parchment Leather, A/C, Airbags, Factory Alarm, ABS Brakes, Adjustable Foot Pedals, Integrated Brake Controller, Center Console Storage, Chrome Grill, Chrome Bumpers, Chrome Running Boards, Rubber Floormats, Fog Lights, Keyless & Keypad Entry, Owners Manual, Power/Heater Seats, Power Steering/Brakes, Power Window/Locks, Power/Heated Mirrors, Power Sliding Rear Window, Rear Park Assist, Rear Window Defrost, Spare Tire, Spray-in Bedliner, AM/FM/CD Changer, Steering Stereo & Cruise Controls, Tilt Steering, Tinted Glass, Diamond-plated Toolbox, Tow Package, Woodgrain Interior Trim, Window Visors, 18″ Factory Wheels, and Thick BF Goodrich 275/70R18 Tires! NADA shows this truck to be worth $17,750 so we feel we have it very fairly offered at only $14,900. 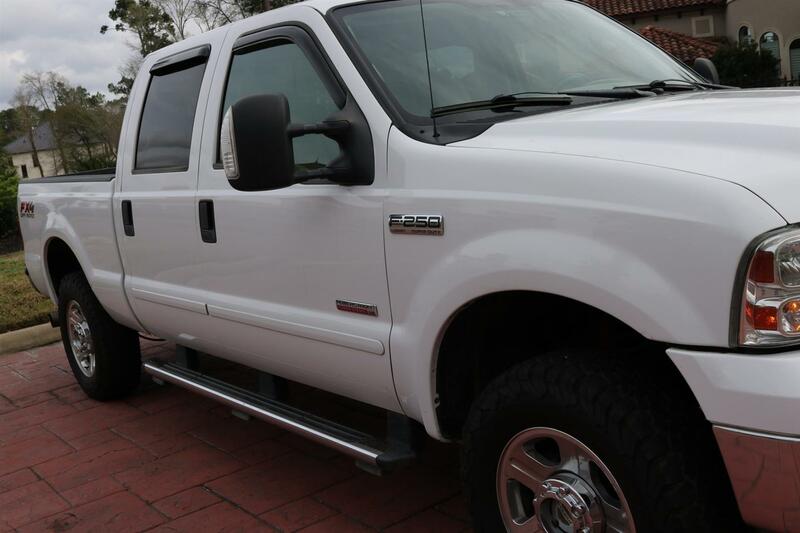 Contact us today so you can pat yourself on the back tonight for this wise purchase!